“Absolutely crazy!” friends and family exclaimed. “Why would you do that? Isn’t that dangerous?” they asked, when we told them about our plan. 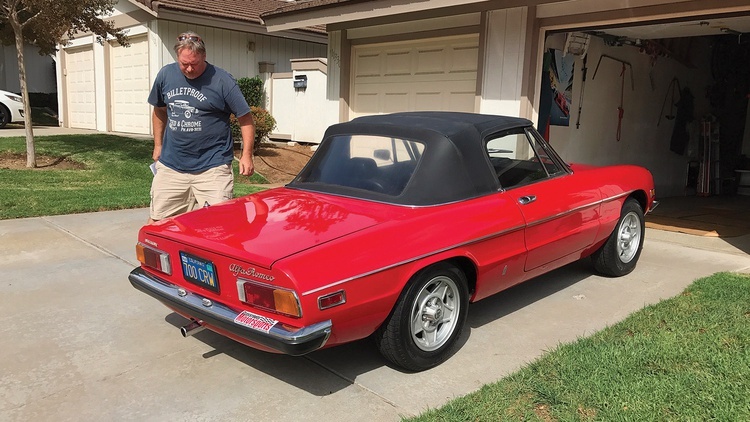 To us, our plan made perfect sense: We had just bought a good-looking, supposedly rust-free 1971 Alfa Romeo Spider via Bring a Trailer and needed to get it home. The kicker: The car was out in California, while we call Florida home. Rather than call someone like Passport Transport or Reliable Carriers Inc., we figured that we’d add in an element of adventure: fly out, and drive back the 3000 miles in a car we had never laid eyes upon before. What Kind of Person Does This? There are different kinds of people in this world. 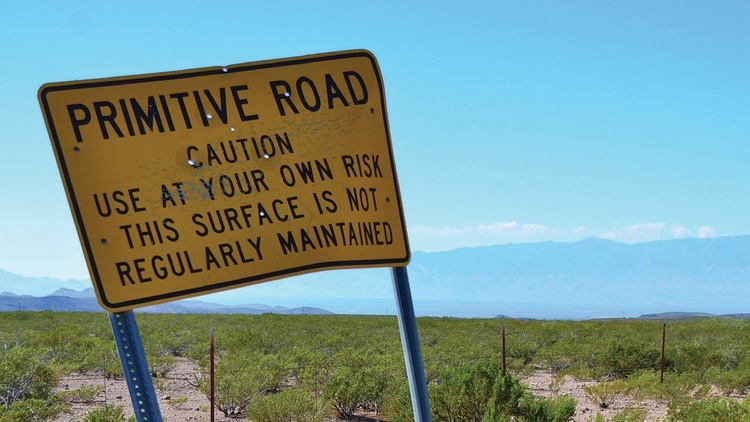 Most are cautious, careful and, if they even contemplated a trip like this, would either plan out every detail or quickly talk themselves out of it. The expense and risk of damaging something–the car’s occupants, the car itself, local vegetation–would quickly dissuade them. We are not cautious types. Our entire plan came together in approximately 10 minutes. We were already heading out that way for the SEMA Show, so we figured what was a little detour from Las Vegas to San Diego? On the map, it’s just two more inches. You do something like this for the challenge, not because it is a cheap way to get a car home. If you figure what your time is worth plus fuel, food and lodging–never mind the potential cost of roadside repairs–at the end of the day it’s much less expensive to let the pros handle it. Road Trip! Father and son set off on a 3000-mile trip together. Don't worry, the stupid-looking Jacksonville Jaguars visor would bloww off and out of the car some 20 minutes later–and like the team's hopes, disappear into the mist. While we made a quick decision to make this trip, we didn’t exactly go into it half-assed. We are crazy, but not totally nuts. 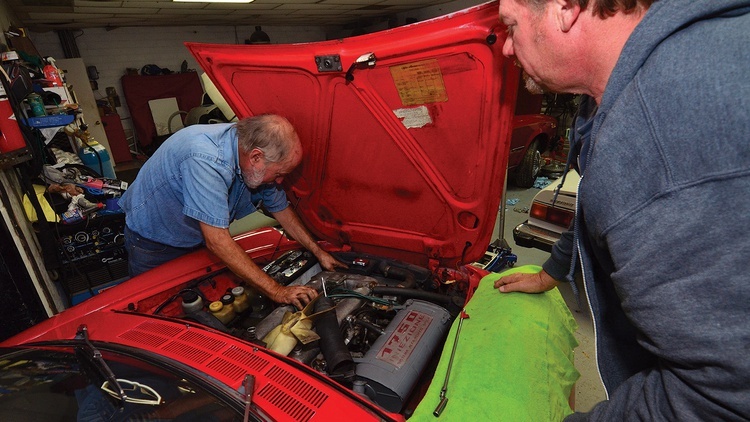 The first thing we did was call the Alfa Romeo specialists at Centerline International and talk to company owner Joe Cabibbo. We explained our plan and sought his advice regarding spare and replacement parts. After studying the online listing for the car, Joe said the car looked honest. Then he sent a care package to the seller to place in the trunk for us. Personally, we follow a matrix system when deciding what spares to pack for a road trip like this. We ask ourselves: How likely is it to fail? How easy is it to repair on the side of the road? How expensive is it to purchase? And finally, how heavy is it to carry? Using this system, packing a replacement alternator makes sense. A new one costs about a hundred bucks, and it’s a common failure point in most old cars. It can be changed in 15 to 20 minutes and is also relatively light and easy to store. Sold. Take this same matrix and substitute in a differential, and you can quickly see why we don’t carry one as a spare. You also need to carry tools. 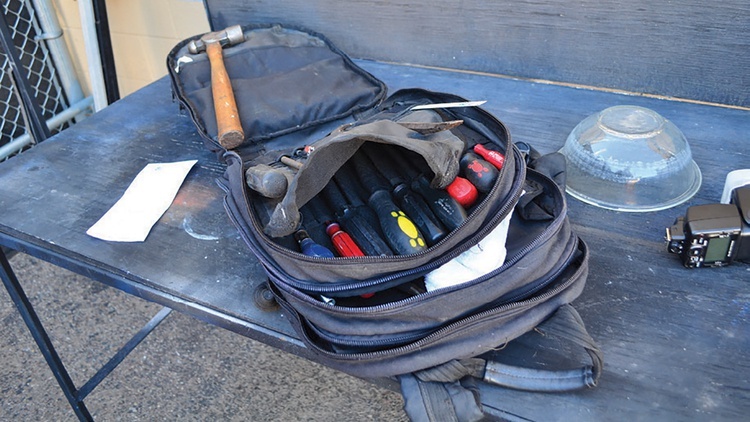 In addition to a basic metric tool kit, we carry files, a hammer, duct tape, safety wire, fuses, J-B Weld, zip ties and other items useful for makeshift repairs. 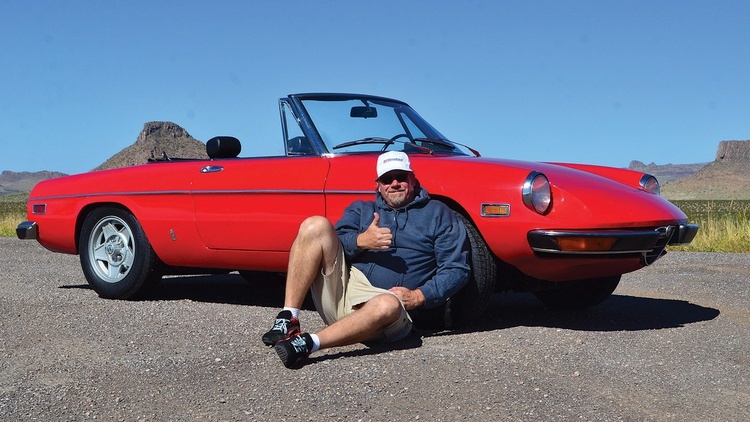 We also called our local Alfa guru, Ric Lovecchio at RML Automotive. 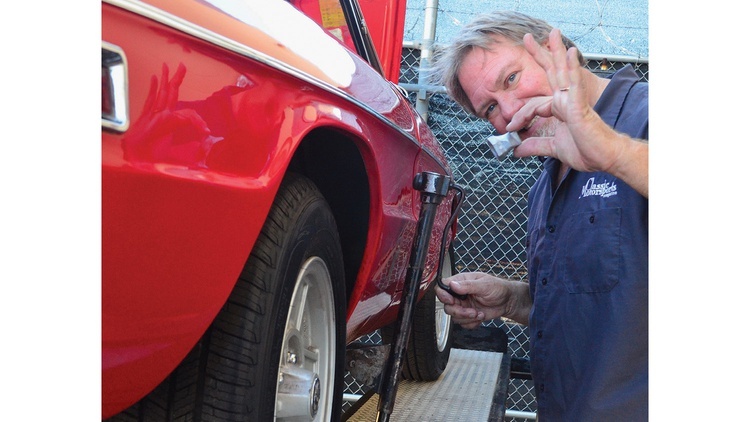 He said that you can fix almost anything on an Alfa with 8, 10 and 13mm wrenches—however, to get to the distributor, a special wrench helps. He loaned us one. The final bit of preparation we did involved sourcing fresh tires. 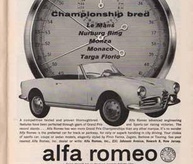 The tires on the Alfa sported plenty of tread, but they were clearly dry-rotted. We might be crazy, but we aren’t stupid enough to drive on unsafe tires. We called our friends at Tire Rack and ordered a set of Michelin Defender tires. The tires were sent to an installation shop in San Diego, not far from the seller. If you take nothing else away from this story, heed this advice and periodically check your tires. Tire Rack says that most street tires have a useful life of six to 10 years; their website shows how to quickly read the date codes. 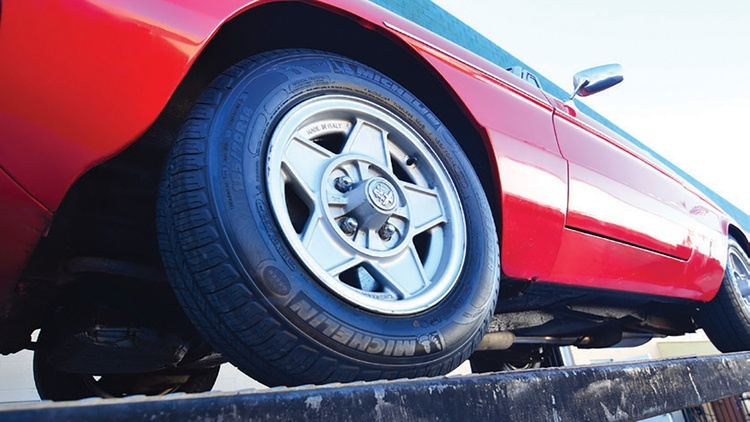 Old tires, as we have demonstrated, simply don’t grip the road well–and that’s assuming that they don’t come apart at speed. So for less than $600 our new Alfa wore a set of premium Michelins. We also asked the shop to give the car an inspection; Did they see anything obvious that would keep us from reaching Florida? 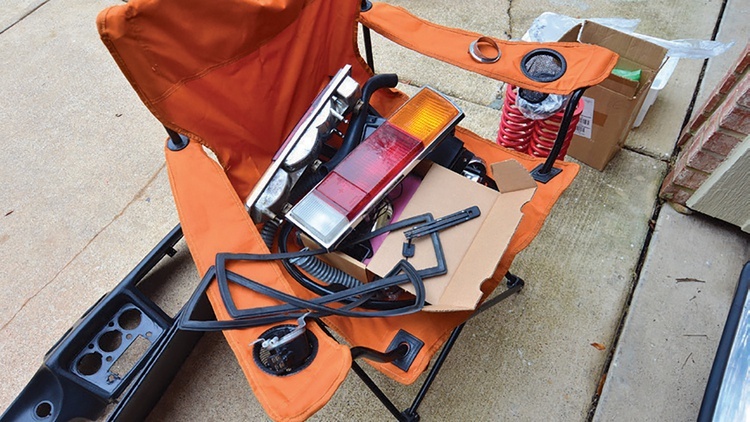 Before flying cross-country to fetch the Alfa, we assembled a comprehensive tool and spares kit. The specialists at RML Automotive and Centerline International made sure that we were equipped for most common roadside emergencies. We weren't willing to risk driving on old, dry-rotted tires. We ordered a set of Michelin Defenders, which were installed before we set off. These proved to be smooth-riding tires, and as we eventually found out, they're superlative in the rain, too. 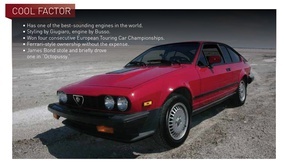 We bought the Alfa sight unseen via Bring a Trailer, and in real life it looked good. To make us feel more at home, the seller added a sticker for Grassroots Motorsports, our sister publication. The later Cromadora alloy wheels can stay, but the aftermarket body-side molding will need to go. Life is dangerous. You can trip and fall, get in a car crash, or get struck by cancer or any number of other diseases. 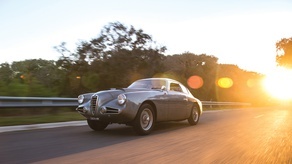 We aren’t trying to say that a trip like this is no more dangerous than sitting on your couch, but we figure it’s probably easier in the modern world than it was when this Alfa was new. Today we have the modern advantages of GPS navigation, Hagerty Plus roadside assistance, cell phones and a Starbucks every hundred yards. We also have the benefit of knowledge. Early on we signed up for AlfaBB, a great online forum full of extremely helpful and friendly Alfa owners. We asked questions, and updated the community with our progress daily. Every step of the way we had a forum member ready to help with parts, expertise and tools. We also had the support of our own forums on our Classic Motorsports and Grassroots Motorsports sites. More helpful technology: Every morning we could map out the day’s route on Google Maps–we took mostly back roads–and book a clean, comfortable room using Hampton Inn’s app. And thanks to credit cards, we had no reason to carry huge amounts of cash. Yes, the modern world might have ruined some things, but not the ease in planning and taking a trip like this. Our journey took us through Scottsdale, where the Russo and Steele family let us use their shop. A lift and a bit of time allowed us to dive into a few of the car's problems. We traced the blinker's desire to blow fuses to a dangling wire, possibly from a bad radio install. 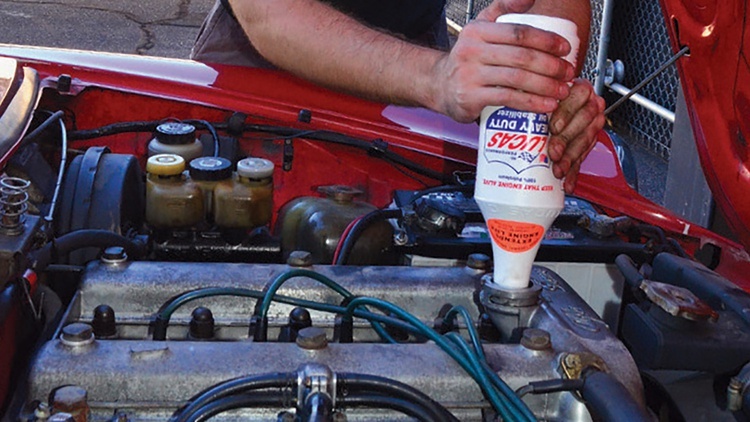 In search of a way to bump our oil pressure a little bit, we tried for Lucas Heavy Duty Oil Stabilizer. This stuff really works, and our oil pressure did come up a bit on the gauge. Old-fashioned coil spring spacers would serve us well until we could get home and install new rear coil springs and Koni shocks. Surprisingly we found that these spacers were still in stock at the local NAPA store, and we had them installed in minutes. Obviously, you also need the right co-driver to accompany you on this kind of journey–ideally someone with the sense of adventure and the willingness to enter a bathroom of questionable cleanliness. 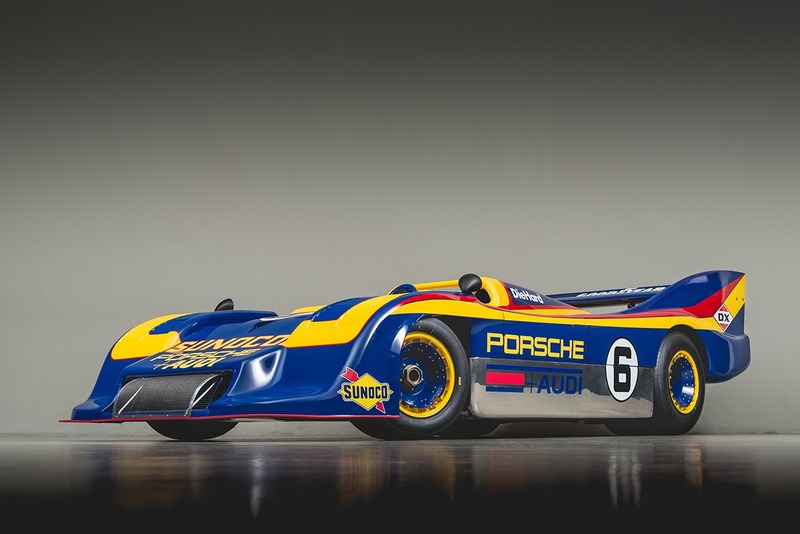 Then there are the four important co-driver traits: great mechanical aptitude (or at least the ability to hold a flashlight); a fine sense of humor; a mellow personality; and an ability to help drive some of those miles. 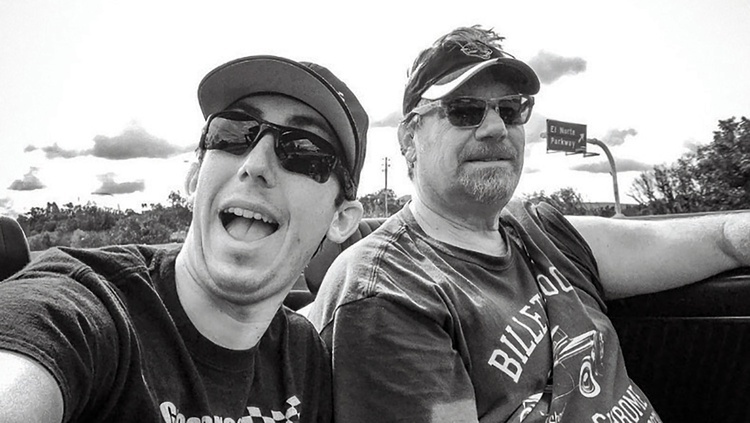 The co-driver for this trip would be one of our newest Classic Motorsports staffers, Tom Suddard, who also happens to be this author’s son. 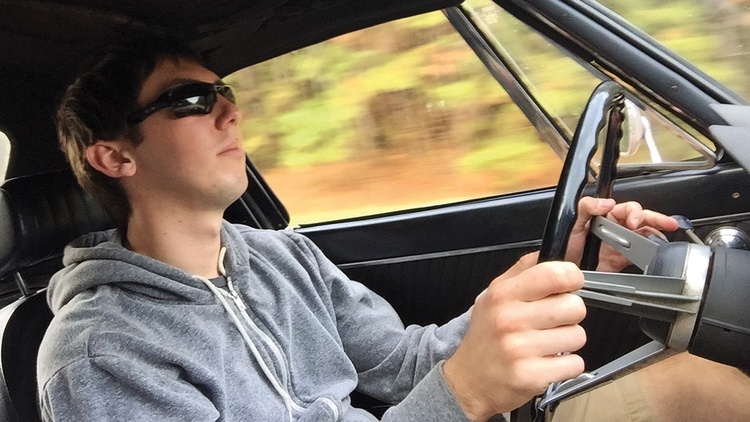 We had been talking about a father-son trip since college graduation–his, not mine–nearly six months earlier, and this would be some good on-the-job training for a life to be spent with old cars. Tom is a heck of a driver, has become an exceptionally good mechanic, and is young enough to crawl under an old car in the rain if needed. As for the mellow personality part, let’s just say we did pretty well and he even let this old guy think he was running things. These are the kinds of experiences that you and your son, wife, daughter or friend will remember for a lifetime. Our trip started with one eye on the clock: We would arrive at noon on Monday and have just 6 full hours to fetch the car, escape SoCal traffic, and drive 300 miles to Las Vegas for a SEMA Show dinner meeting. What could be easier or more relaxed? While the seller was out of the country when we arrived–not the best sign–he had arranged for his neighbor, a fellow car guy, to pick us up at the airport and take us to our Alfa. As promised, the car was washed, full of gas, and wearing its new Michelins. The seller had also placed some extra oil and water in the trunk, should we need it. Once again, we found the Bring a Trailer community awesome to deal with. While the paint wasn’t quite as nice as we had hoped for and we noticed a few things that needed sorting, we were happy with our new purchase. We hopped in, said goodbye, and headed out into traffic. First impression: These Alfas are really nice-driving cars. The seats are comfortable and the later Spider’s taller finaldrive ratio made for effortless cruising at highway speeds. We were expecting this to be much more of an ordeal. On the down side, the oil pressure seemed to disappear quite quickly, and the car bottomed out on the slightest bump. 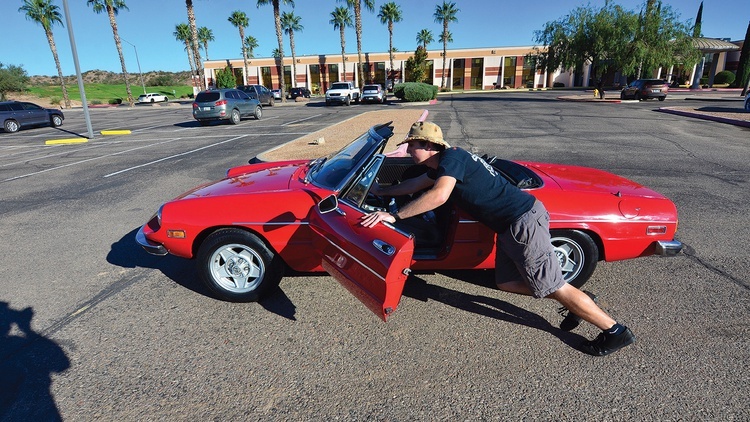 Perhaps putting two big guys in a fully loaded, slightly tired 1971 Alfa wasn’t the smartest decision. For the first couple of hours, everything seemed to be going well. While the temperature gauge went from warm to uncomfortably close to hot when we picked up steam, the car ran smoothly and quickly. Then, at our first gas stop the car refused to restart. Perhaps we were just too stupid to turn back. Or perhaps we’ve just been around old cars for too long. Instead of getting at all worked up, we just push-started the car and kept heading to Las Vegas, determined to make our dinner appointment that evening. We figured we could look things over once we had a little more time. The turn signals lasted all of 10 more minutes. The thought of driving a car with no blinkers, no starter, low oil pressure, a twitchy temperature gauge and a soft rear suspension was starting to make this whole thing look like a bad idea. Nevertheless, we got to Las Vegas in time. The next morning, with clear heads and a little more information, we assessed the situation. Yes, we needed a new starter. And of course, being an interim 1750cc model, this car used a specific, rather rare starter. A couple of quick conversations on the AlfaBB forum confirmed this fact. We also learned that dodgy oil pressure gauges are common. As long as the low oil light didn’t illuminate, forum members said that we’d be okay. After nearly a week at the SEMA Show, it was time to put the bright lights of Las Vegas behind us and head off into the night. Despite the best laid plans, once again we found ourselves setting out on an epic road trip in the dark. Our goal was Phoenix, about 400 miles away, where we’d meet with Russo & Steele’s Drew and Josephine Alcazar. They had invited us to an Italian-themed cars and coffee the next morning followed by a little time at their shop. Finally, we’d get a chance to put the car on a lift, look things over, and make repairs as necessary. We had fun at the show, and the shop time revealed both the good and the bad. Someone had installed grease fittings on the front A-arms. Alfas of this generation didn’t come with serviceable A-arm bushings, so we figured that this addition was just masking worn-out bushings that would need to be replaced. The front shocks looked new, as did the rest of the steering. The rear suspension needed a little attention; we were tired of constantly bottoming out. At the local NAPA store we found coil spring boosters–yes, the ones you used to use to jack up your Chevelle–that added a little bit of rate to our rear springs. These would at least last until we got home where we could make proper repairs. We also traced the turn signal problem to a hot wire that had just been left bare against the transmission tunnel. We believe that someone was a little sloppy during a radio installation. 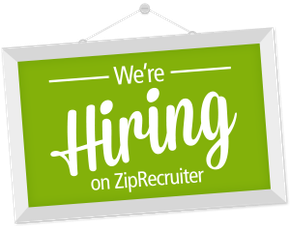 Originally we planned to hit Austin and San Antonio on the way home–hip towns that we have enjoyed visiting in the past. 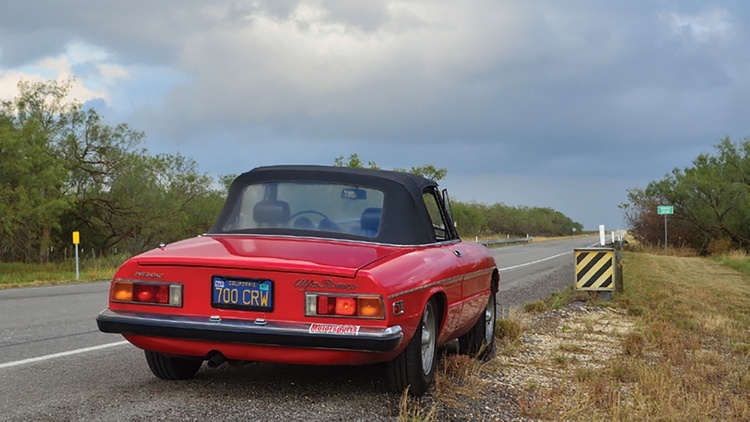 However, when an AlfaBB member in Dallas offered us a huge stash of 1971 Alfa Romeo Spider parts, we altered our plans. 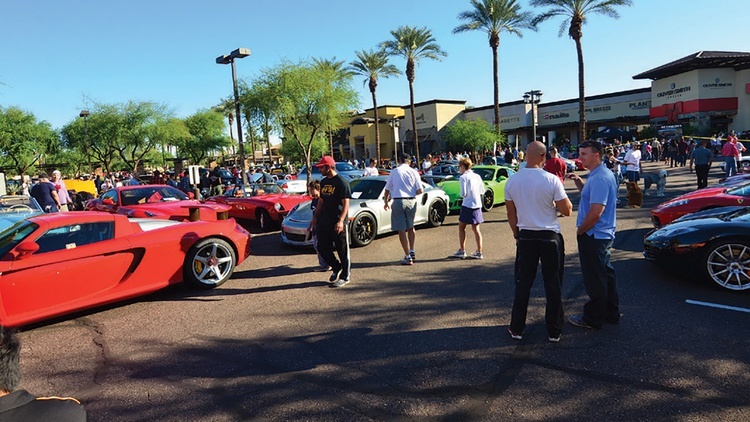 After blazing through Las Vegas, we could finally take a breather at a cars and coffee in Scottsdale, Arizona. 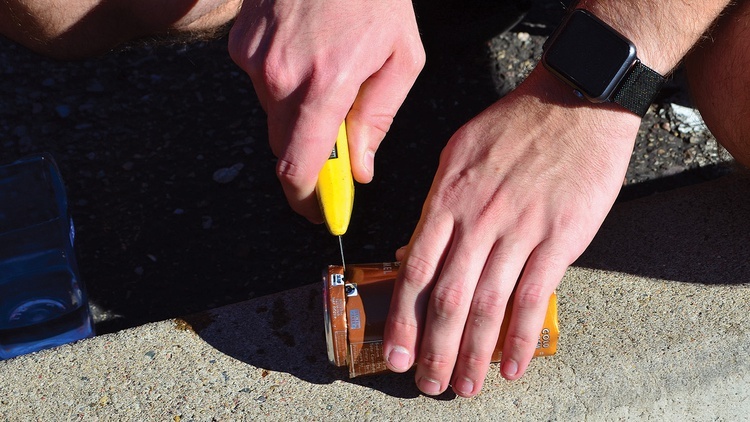 Roadside fixes aren't always that glamorous-and don't try this at home kids. Once again we set out at night, leaving the safety of Phoenix and heading out into the dark desert. That desert was cold, too, with temperatures quickly dropping from 85 degrees to about 50 once the sun went down. Just west of Globe, Arizona–we had taken Route 70 out of Phoenix–the fuel pressure light came on and the car started to run very sluggishly. Rather than face the issue in the dark, we decided to stop for the night at the Apache Gold Casino and Hotel. While rated well, it wasn’t quite Las Vegas. We went to bed worrying what we would find in the a.m.
Time gives you the chance to not only worry, but to also think about the mechanical problem at hand. The next morning, we decided to replace the fuel filter first. Judging by the car’s sketchy maintenance, we figured this to be the culprit behind our fuel pressure problem. 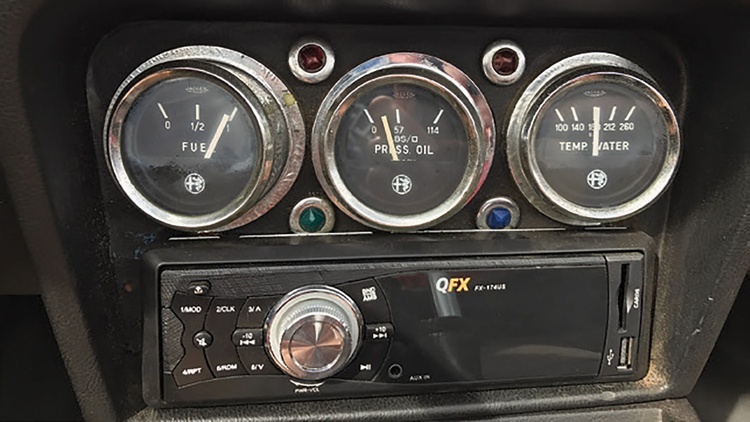 Besides, it was a quick and easy fix; we sure as hell didn’t want to change a fuel injection pump or even a fuel pump in the near-freezing Apache Gold parking lot. Good news and bad news: The fuel filter was nearly plugged solid, but unfortunately the line feeding it was rotten and we weren’t carrying the correct replacement. Interesting fact on an Alfa: The short line that runs from the tank to the pump is about ⅝ inch in diameter, while the run from the pump to the engine is about half that size. Faced with no alternative, we simply cut out the rotten part, shortening the hose that we had. While we were able to get fuel through the system, the fuel filter was now dangerously close to the muffler–one, we should stress, that was not the correct type. We’re guessing this quick fix was done to better sell the car to unsuspecting suckers like us. We got lucky and resourceful. A local convenience store sold us a can of absolutely undrinkable iced coffee; its can was just the right size for a homebrewed heat shield. Problem solved, kind of. 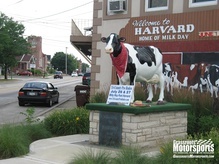 You never know what meals you'll find on a road trip. 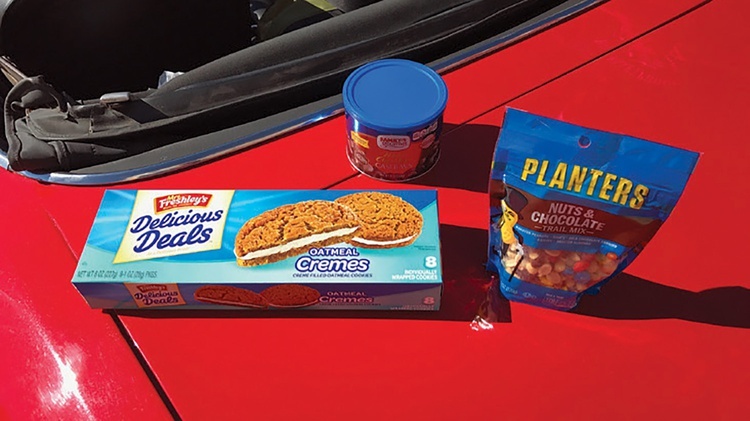 Ours ranged from a pretty decent steak dinner at a casino in eastern Arizona to snacks from a Dollar General in New Mexico–nothing else was open and it was the best we could do. In order to replace the fuel filter, we needed to shorten the line–and add a heat shield in the process. A beverage can yielded the perfect raw materials for that heat shield. One thing West Texas does have is a whole lot of rust-free, mostly American old cars. We made a couple of stops to look them over. 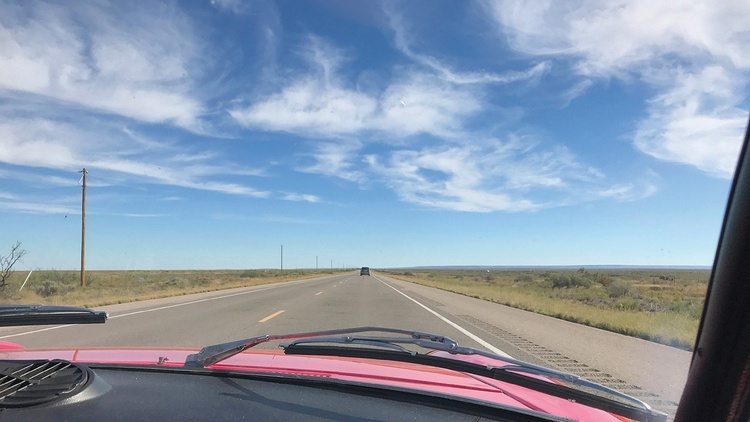 Once back on the road, everything went well as we crossed the absolutely beautiful desert of eastern Arizona and western New Mexico, followed by the heartwrenchingly boring plains of eastern New Mexico and West Texas. 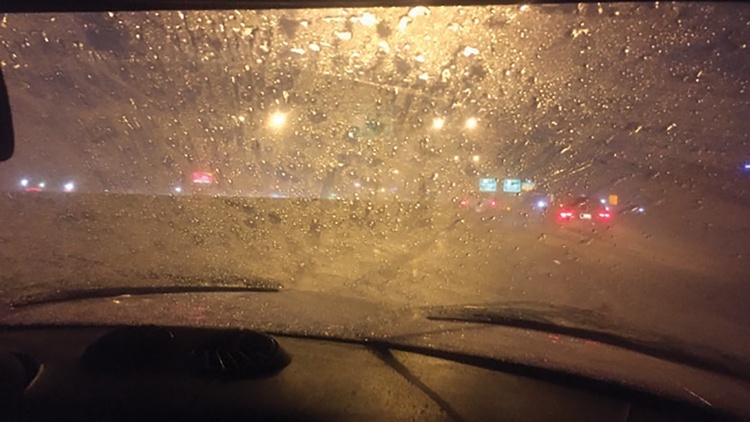 The weather was absolutely perfect–until we got near Dallas. As we rolled into Dallas, we nearly turned our Alfa into a boat, piloting through some of the worst weather we had ever driven through. We had been watching the weather forecast and knew we were catching up to an aggressively horrible front in the Dallas area. The forecast warned of major flash flooding. About an hour outside of Dallas, the skies just opened; we literally floated into the city. That last stretch was truly treacherous, with the poor Alfa dodging back and forth through the largest puddles we’d ever driven through. Somehow the little car kept running. About 10 minutes before we reached Bob, our AlfaBB member with the parts stash, we received a text from him. He had just moved his new BMW out into the rain so that we could drive right into the garage. Some whiskey would be waiting for us; he assumed that we would bring the water. 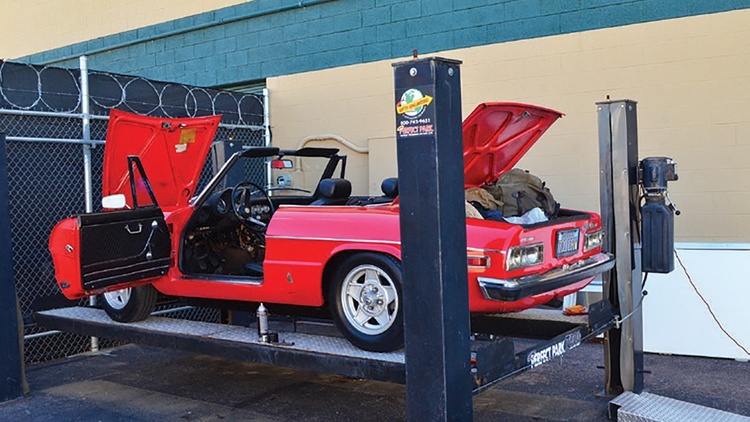 His garage also contained an entire, disassembled 1971 Alfa Romeo Spider. We were in the right place. After a great dinner and a good night’s sleep, Bob picked us up from the hotel. 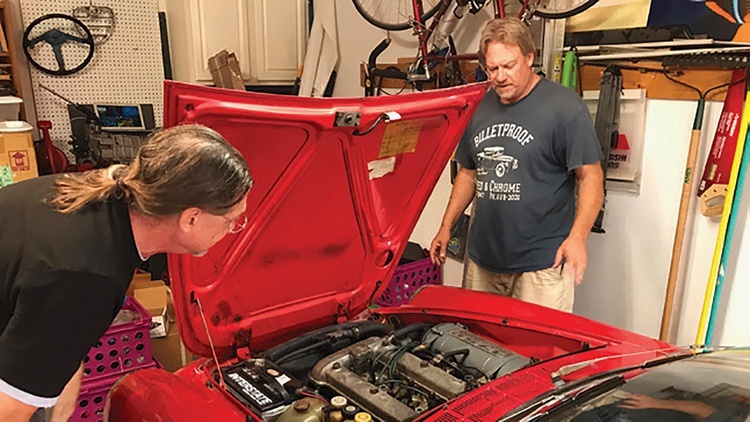 He showed us around town, sold us just about everything we needed to repair and finish our car, and pointed us toward Shade Tree Enginetrics, a long-time Alfa Romeo mechanic. In just an hour, Robert Rodgers at Shade Tree Enginetrics diagnosed both our cooling system troubles and our starting issues. 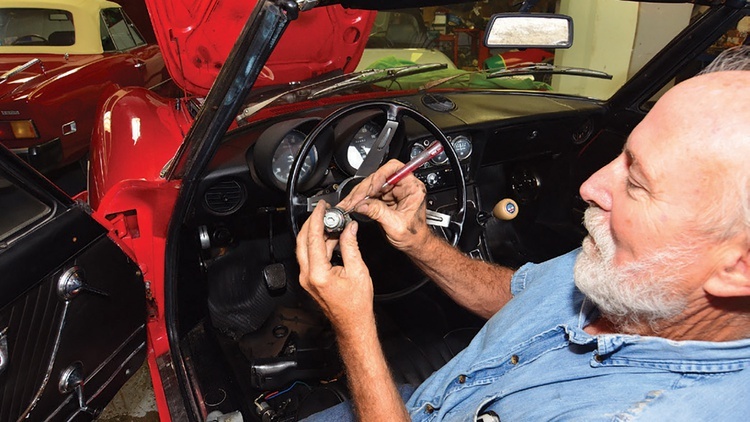 The starting issue was caused by an intermittently faulty ignition switch, while the cooling system suffered from a combination of problems, including a missing thermostat, damaged fan shroud and a missing bypass hose valve. Once again, we set off into the night. Here's our initial parts haul from Bob. We stuffed most of it into the already overloaded Alfa and shipped the rest home. 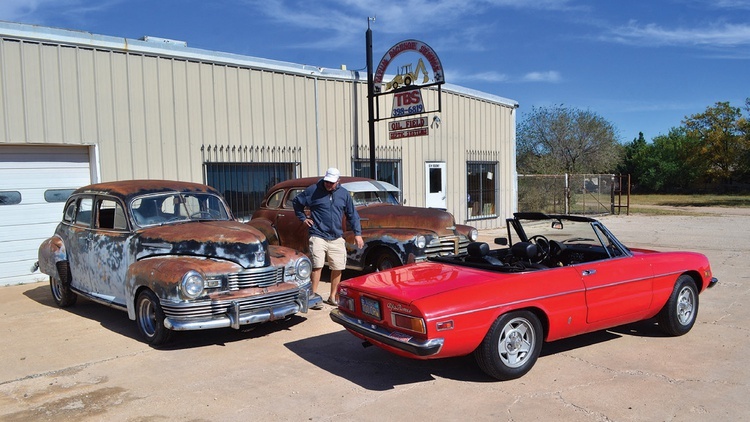 From Dallas we headed about an hour east to Josephine, Texas, where Bob introduced us to his friends at Shade Tree Enginetrics. 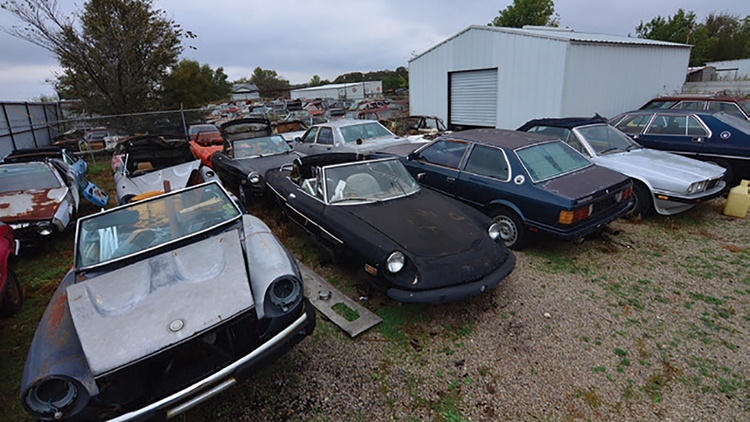 This was apparently Dallas's oasis for old Italian cars, with ore than 200 parts cars on site. 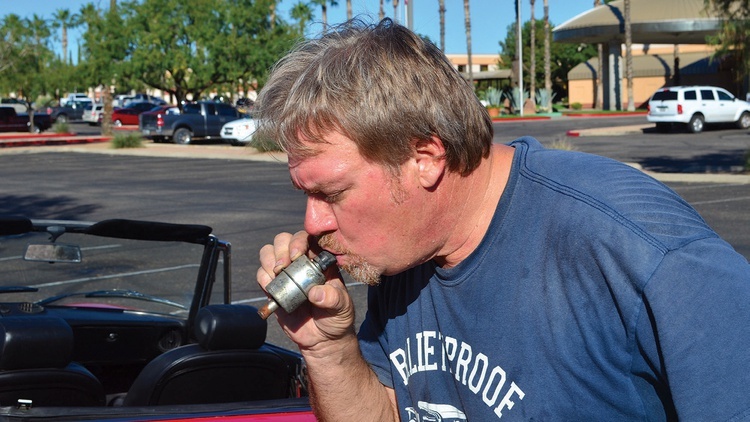 Robert Rogers from Shade Tree Enginetrics had our ignition switch and cooling system repaired correctly in just over an hour using both new and used parts. From here the rest of the trip was easy. The temperature gauge no longer fluctuated. The car started every time, and we averaged 25–30 mpg, depending on how fast we pushed it. We saw some beautiful farms in Louisiana and stopped in New Orleans for the night, where an old friend took us out on the town. We arrived home without further incident the next evening–before it got dark, even! Looking back, you could say a trip like this is nuts. We would argue differently. Everyone should drive across the country at least once. It really teaches you about how big and varied this country of ours is. It is also the best way to learn and sort a car. If you can drive your old car cross country, then you can drive it on any rally, tour or club function. And of course, there’s excitement in the challenges you encounter. 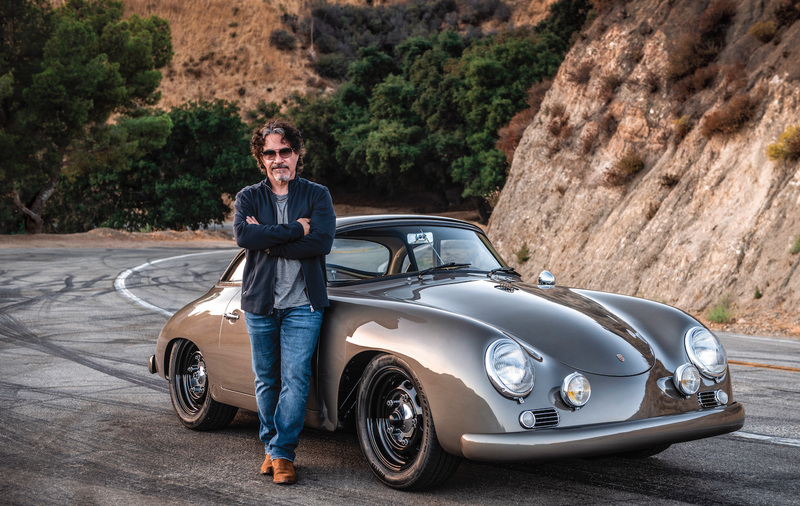 From figuring out how to make a heat shield from a can of iced coffee to quickly solving a bottoming-out suspension, this is the stuff that keeps you young–or makes you old. In the end, a trip like this is about the people involved. Not only did the bond between this author and his son grow on this trip–we also made some lifelong friends. 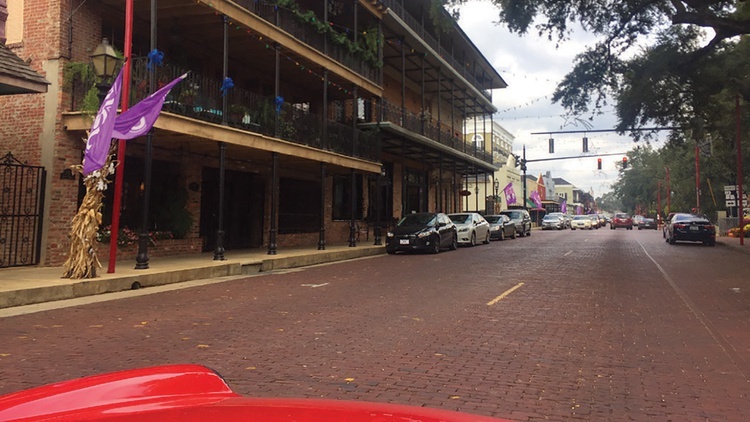 Only on back roads will you get to see towns like Natchitoches, where we had lunch along the Red River before touring through grand old plantations. Our final stop was in New Orleans, where an old friend took us out for a night on the town. From there, it was smooth sailing home to Florida. It’s been a while since we’ve had an Alfa Spider here at the home office–probably too long, we admit. But with this latest purchase (and the subsequent adventure) we have righted those wrongs. Now what? Time to make some fixes, put down the top, and enjoy this one. And yes, you’ll see some updates in print and online. This story ran in an old issue of Classic Motorsports. Want to make sure you're reading all the latest stories? Subscribe now. 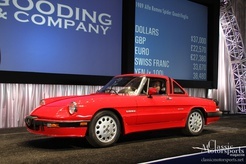 Join Free Join our community to easily find more Alfa Romeo articles. 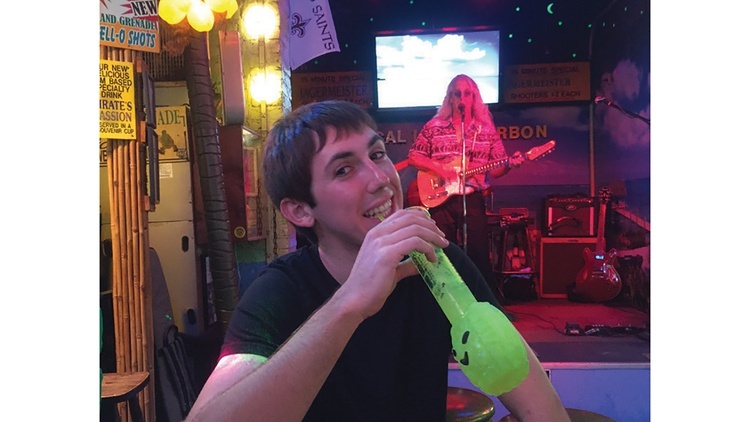 Nice trip report. When I was younger, I did two similar--albeit shorter--solo trips to retrieve sports cars I had purchased sight unseen. In the mid 1980s it was 450 miles to Omaha, NE for a 1970 Datsun 2000 roadster and in 1998 600 miles to Minneaplois, MN for a 1973.5 Porsche 911T Targa. Both trips were fun and adventurous, but not nearly as exciting or unpredictable. I still have and drive both cars. Thanks for sharing!! Fantastic story! Glad both of you made it back to Florida safe. Glad you guys liked the story. Flyman615: weather makes a big difference when heading north, like you did. Tim, do you still have the car? Any tips on doing the restore, ie what parts needed special attention? This will have your spare tire off the floor of the trunk,and allow air to flow, so it will not rust again. Three of us in a SunbeamTiger going to Savannah from central NY to pick up a drivable Elan..site unseen. (1979). My buddy still laughs and talks about it. Just picked up a 1988 Graduate. Getting to old to be driving this from Orlando to Central NY but should be a fun summer with it. Article was a fun read.